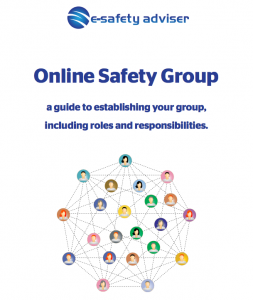 Establishing an Online Safety Group - a free guide for schools. As I travel to schools around the country, one of the common things I come across is a single member of staff that has responsibility for online safety. Dependent on the size of the school this is possible for the day-to-day issues, but it’s impossible for one person to manage all the strategic aspects as there is so much involved. An e-safety or online safety group in your school can be one of the most forward thinking initiatives you can do in terms of leadership and management of online safety and all the information to create your group is in this free guide. To download the guide click HERE (it’s a direct download, I don’t need your details). Keep your staff and parents up to date. 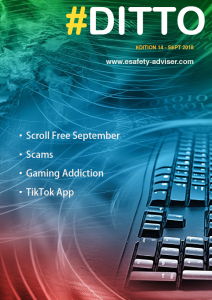 This free online safety magazine is produced half-termly and has advice, guidance and opinion on the latest online safety topics. To download the latest magazine click HERE. Subscribe to further editions using the form below. Your details are kept private and only used to let you know when a new magazine is out, or for important updates such as statutory guidance etc.